This site showcases some of my best work to date. 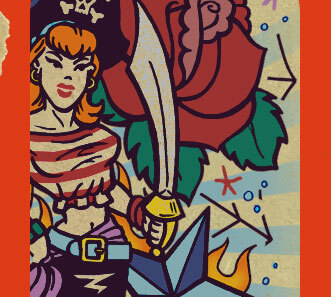 The collection shown includes illustrations, character design and the genre that started it all... Pin-Up Girls. After years of neglecting the commercial value of my creative endeavors... I am now attempting to sell stuff! 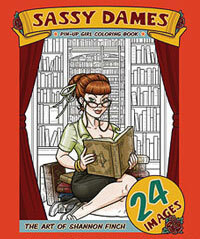 I released a coloring book through Amazon.com, and have a bunch of paper doll designs available at Paper Betties. I am also selling postcards and art prints of many illustrations shown on this site at my Etsy Shop, custom products on Zazzle and fabric print designs through Spoonflower. Examples of my professional design work can be viewed on my Behance Portfolio. Its shoes... lots and lots of shoes, as well as textile prints and paper doll designs. To keep up with my most recent work visit my DeviantArt gallery. I also have a Facebook page that I update with new art, art shows, random cool stuff, etc. 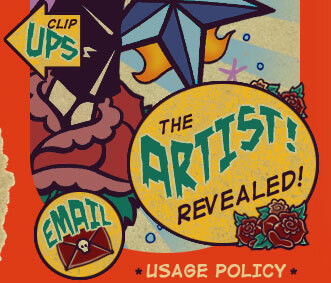 I am also an Alumni member of GirlsDrawinGirls, an art group which showcases some of the best women artists out there today creating Pin-Ups, Low-Brow, Animation and Comics!